An optimal means for the transport of patients with a possibility of X-raying directly on the table. 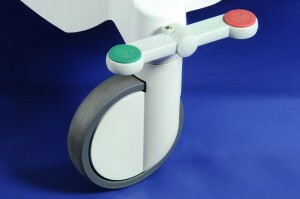 High-quality travel wheels Ø 150 mm with two central brakes; leading wheels for straight direction. Two-part working surface of 600 x 1 950 mm, back segment adjusted manually using a gas spring, from 0°to +70°. Outside dimensions (clearance profile) 750 x 2 050 mm. 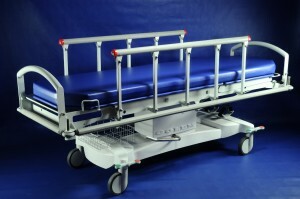 X-ray translucent surface in all length; a compartment to locate the cassette included. 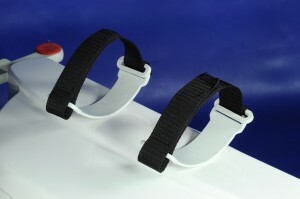 The C-arm can be used with the exception of the central part. 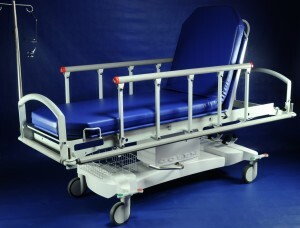 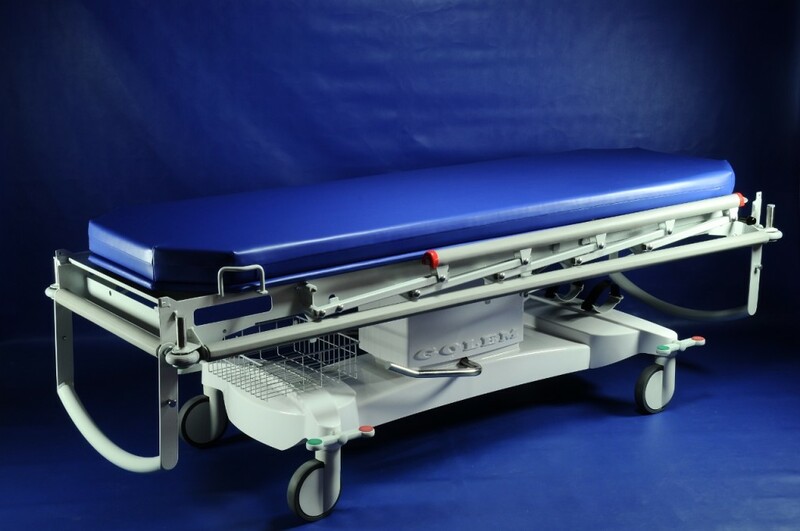 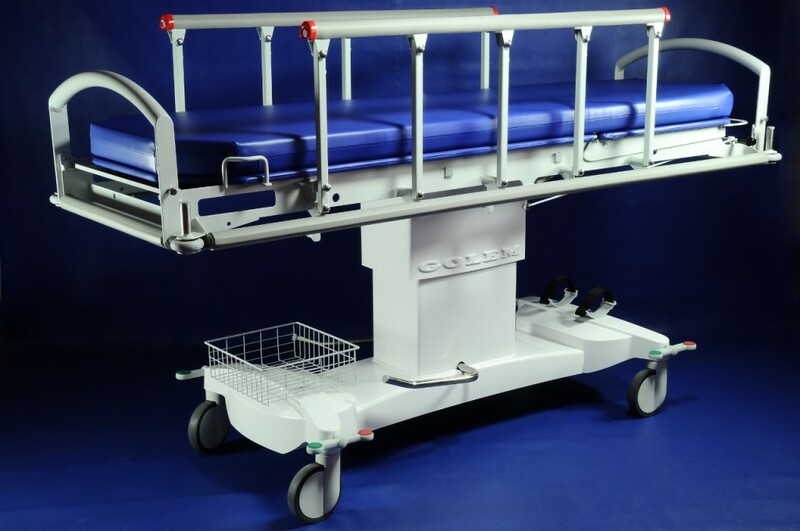 Standard equipment: comfortable fixed mattress, safety bumper profile on the frame periphery, hinged sides to prevent the patient from falling off, operating grips in the front parts, removable infusion stand, oxygen cylinder holder, storage basket. Carrying capacity 150 kg, weight 50/90 kg. Hydraulically adjustable height of 640 – 940 mm, foot pedal control from both sides of the table.